The city of San Diego launched a replacement Monday for its obsolete website, which promises to be more user-friendly and easier for staff to upload information. 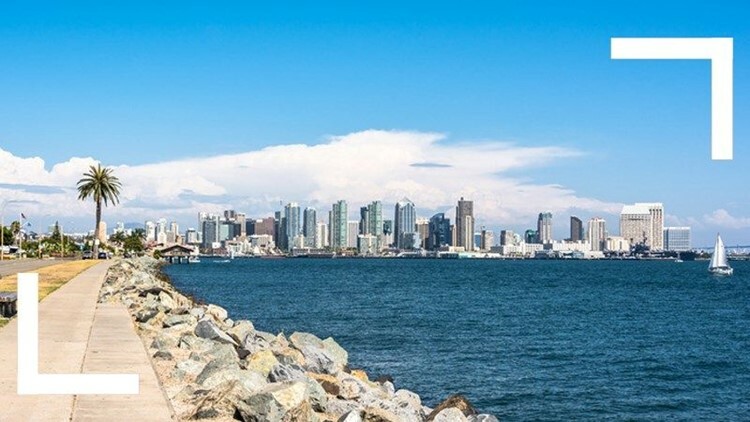 SAN DIEGO (CNS) - The city of San Diego launched a replacement Monday for its obsolete website, which promises to be more user-friendly and easier for staff to upload information. The change most apparent to website visitors is a cleaner appearance, led by a large photograph of downtown, taken from Coronado. Above the photo are major menu options: Leisure, Resident Resources, Doing Business, Library, Public Safety and City Hall. Below the photo is a section called "Get it Done,'' which will include a variety of choices. "People come to SanDiego.gov with a task in mind," said Jen LeBron Kuhney, who helped lead the website makeover. "We're keeping the focus on what people need to get done." Not visible to the public, but just as important, the city is using a new content management system that makes it easier for staff to keep the site updated. The former system was created in 2002 and required knowledge of the HTML web language. The new system, Drupal, is used by many federal agencies for their websites, city officials said. The new site may not be fully operational until Monday, they said. A section also will allow members of the public and media to make public records act requests. Documents provided under the PRA law are posted on the site, so people looking for certain information can browse for information that's already been requested, and possibly save some time. The redesign took a little over one year to complete, and included input from several thousand members of the public. According to the mayor's office, the overhaul cost a little over $646,000, about half of what was budgeted. "A core focus of my administration is rebuilding San Diego's infrastructure. While that means fixing our streets, upgrading our parks and building new libraries, it also means updating our digital infrastructure," Mayor Kevin Faulconer said. "This website was designed by San Diegans, for San Diegans," the mayor said. "Every line of code was written to help you find what you*re looking for and complete tasks faster, representing another major step forward in our work to make your city government more efficient and effective." City officials said they plan to keep making improvements to the site, and since the content system is open-sourced, they expect to be able to add new features in the future. Each page will have a feedback section that visitors can use.